"There are some things women shouldn't have to sweat -- like getting paid what they're worth." Procter & Gamble continues to beat on the purpose-driven drum with its latest campaign for Secret deodorant. The brand teamed up with Berlin Cameron, Landor and soccer world champion Alex Morgan to launch a celebration of those who boldly fight for progress for themselves and all women without sweating the obstacles in their path. 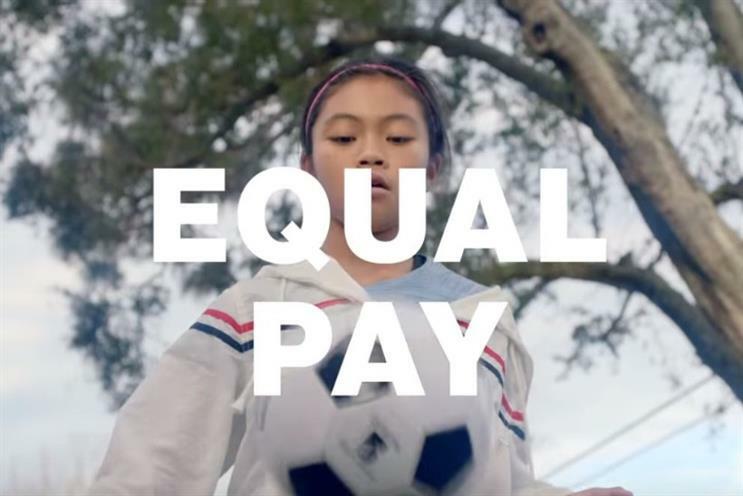 As part of the "All Strength, No Sweat" movement, Secret has pledged an initial $100,000 to Girls Leading Girls, which will fund soccer camp experiences and leadership training for more than 750 girls and women aged seven to 35. Sara Saunders, Secret and Gillette associate brand director, said: "Secret is proud to stand with women who are ‘all strength, no sweat’ -- those who boldly fight for progress for themselves and for all women, without sweating the obstacles in their path. This latest video and our partnership with GLG is a show of support for all female athletes who do just that. "Our products are expertly designed to protect women against odor and sweat as they face those challenges head-on. But there are some things women shouldn’t have to sweat -- like getting paid what they’re worth." Additionally, for every stick of Secret Outlast deodorant sold between now and July 1 2019, Secret will donate $1 (up to $25K) to the organization to support leadership training for girls in soccer. Jennifer DaSilva, president at Berlin Cameron, added: "It’s been incredibly rewarding to partner with Secret to highlight the true strength of a woman -- on and off the field. We’re proud to support the world champion soccer players of today and the future of the sport through this campaign."